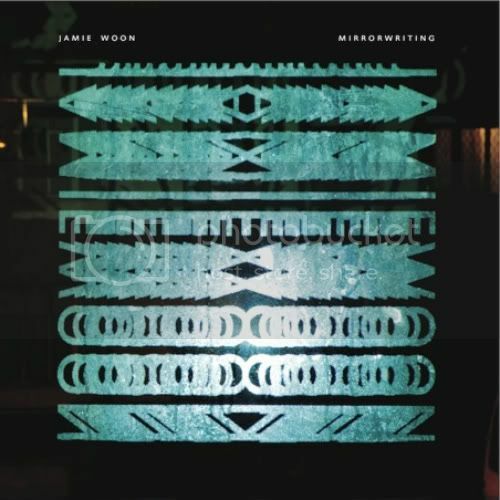 A dear friend with laser beam eyes and ears asked me what I thought of Jamie Woon's new album "Mirrorwriting" yesterday, so I write this knowing if I hold back because I'm in public I won't get away with it. I began by telling aforementioned friend that I really like it, but that Jamie could sing almost anything (probably even Rebecca Black's Friday) and I would really enjoy it. The gift of a voice like that could easily make an artist a really lazy songwriter, much like a man with an oversized appendage or a beautiful girl in the sack (or so I'm told). Luckily for us Jamie remains deeply introspective, hardworking and humble - he asked permission to send it to me so I really don't think he quite understands what's happening yet. It takes a long time to erase the original version of a song you've loved, and after years as an official Onetaste Collective stalker (the mythical birthplace of Jamie, Portico Quartet, Tawiah, Polarbear, Tanya Auclair, Jono McCleery, Stac, Inua Ellams and so many others) it's hard to let go. The stripped down looper and guitar versions of songs like Night Air and Shoulda made me fall for Jamie back then, and I was sad to find Robots didn't make it on there, but that doesn't detract from what is a lovely album you want to listen to all the way through. If a couple of perfect lilys sprinkled near the start must be gilded with some club-friendly synths and keys, he has certainly succeeded in keeping hold of his beautiful harmonies and subtlety. A couple of tracks in and Jamie does what he does best - pouring his heart out and tearing yours up simultaneously on Shoulda. I couldn't even begin to pick a favourite, though Gravity has reduced me to tears a few times, and the added layers of production noticeably heighten the intensity and atmosphere both here and on Spiral. Spirits gets an awesome choir effect worthy of early 90s pop-soul (Kenny Thomas would be so jealous, in a good way), TMRW and Middle are more up-tempo classics, and you could imagine a Jamie Woon/ Bill Withers duet on Waterfront (the highest honour I can accord a human). It's strange critiquing something you've yearned for years to have, it feels ungrateful, because my most overriding feeling about this album is honour and privilege to listen to such a beautiful voice and spirit whenever I like.